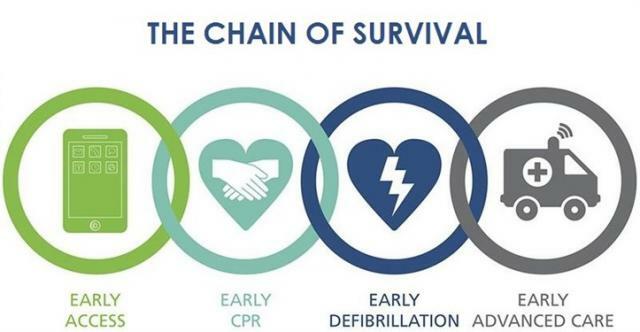 When someone suffers an out of hospital Cardiac arrest, if certain things happen in a certain order, their chances of survival are hugely increased. This concept is known as the 'Chain of Survival'. 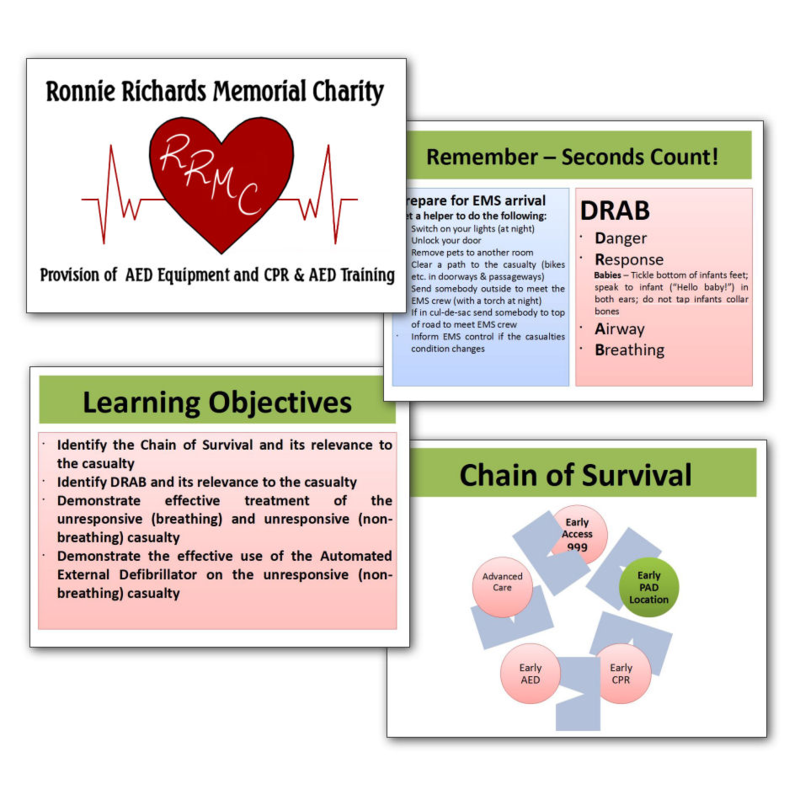 The Chain of Survival is made up of four links, the first three of which can be performed by members of the public who have learnt basic life saving. 1. 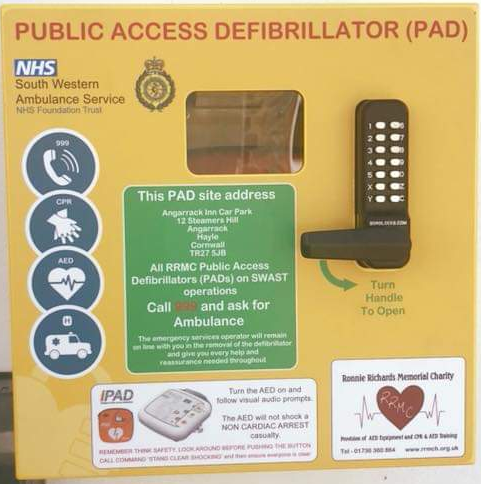 Early access & recognition: being able to recognise someone is in cardiac arrest and getting assistance is the first step to helping them. 2. Early CPR: performing chest compressions can keep their heart going until a defibrillator arrives. Research has shown that CPR can double a person's chances of survival. 3. 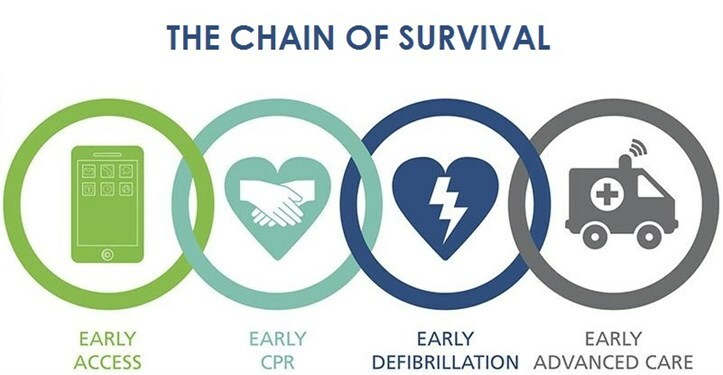 Early defibrillation: for every minute the patient doesn’t have a defibrillator attached to their chest, their chances of survival reduce by 10%. We now know that early defibrillation can triple a person's chances of survival. 4. 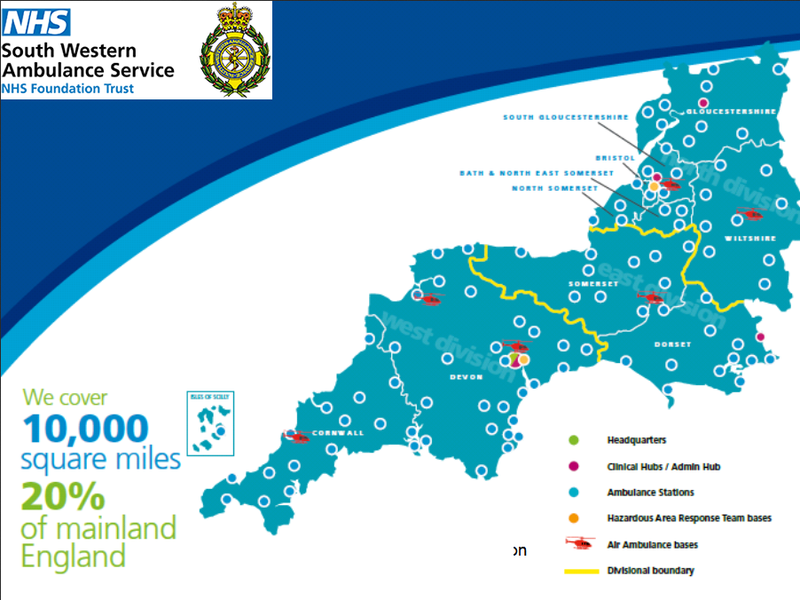 Early advanced care: delivered by the Paramedics who arrive shortly after. 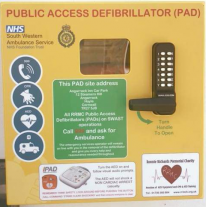 If you start CPR within 2 minutes, place a defibrillator on their chest in four minutes and a paramedic arrives in 8, they have a 40% chance of survival. 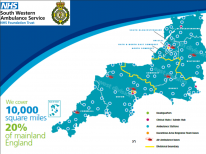 South Western Ambulance Service Foundation Trust covers 10,000 square miles, 20% of mainland England so the more we can do until the Emergency Services arrive, the better.